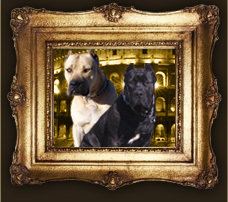 Here's your chance to reserve an Adronicus Mastiff. Your very own exotic hollywood dog breed. There will be a $1,000 non-refundable deposit for all Adronicus puppies. (see pricing page for more info) Thank you for inquiring and remember, the Adronicus is the most exotic rare breed in the world and you & your family deserve the best natural guard dog on the planet.